I don't know what kind of stomachs they are trying to feed at Ramen Misoya, but not this small one. M. ordered and finished the basic mame miso but I couldn't even make a dent in the kome miso char-shu. The ramen is a different style than what might be found at Ippudo or Menkui-tei, enjoyable although not on the level of waiting in line for. Which we didn't do. Miso. Char-shu. 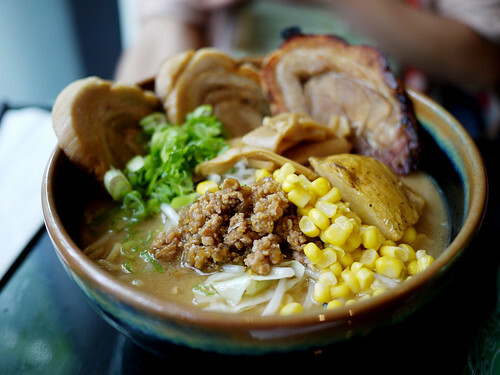 Ramen. Have there ever been three more lovely words when placed together? Wait a minute... is that a POTATO?